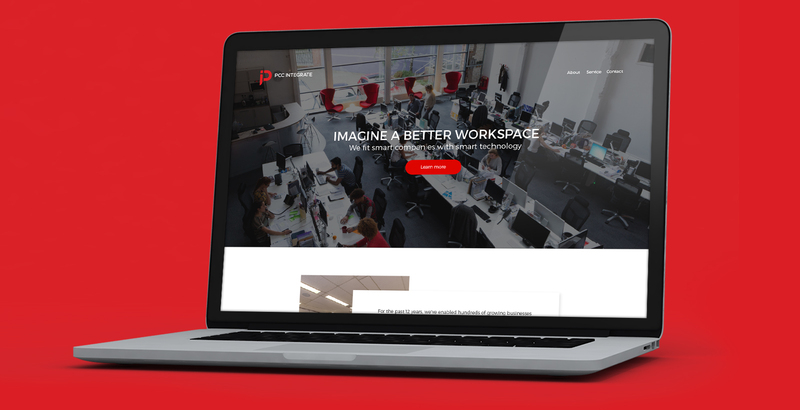 PCC Integrate fits smart companies with smart technology. As experts in smart-building technologies, they provide a customized, integrated approach to audio-visual technology, sound masking and other IT infrastructure solutions. 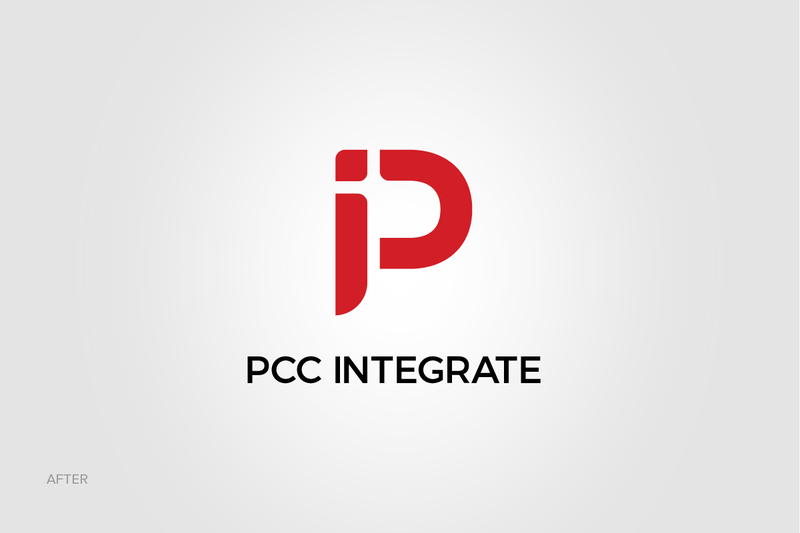 PCC Integrate’s previous logo lacked the modern feel of a company in the tech sector. 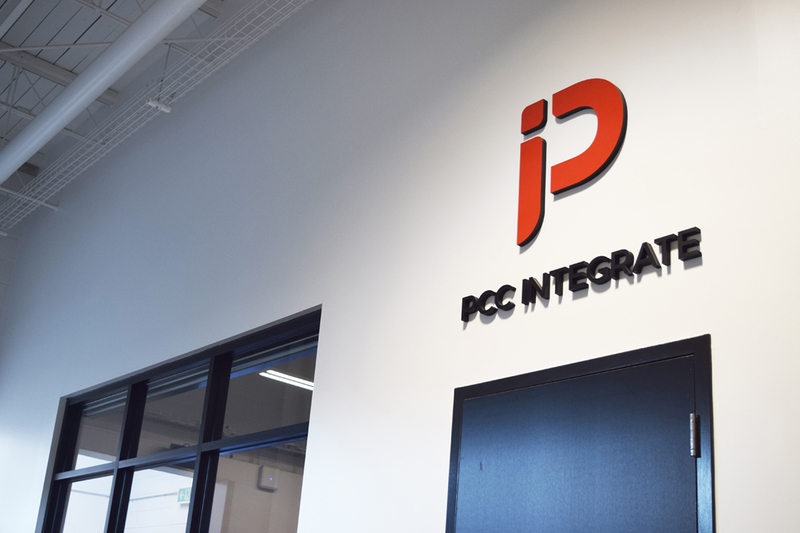 It was quite dated and had many conflicting design elements, while ultimately failing to represent PCC Integrate – a smart, tech-focused company and leader in the smart-building space. We started by hosting a discovery session with the PCC team. During the session, we learned about the company, their service offering, mission, vision, and their role in the smart building movement. Next, we developed a survey to further hone in on the team’s ideal and desired brand elements. 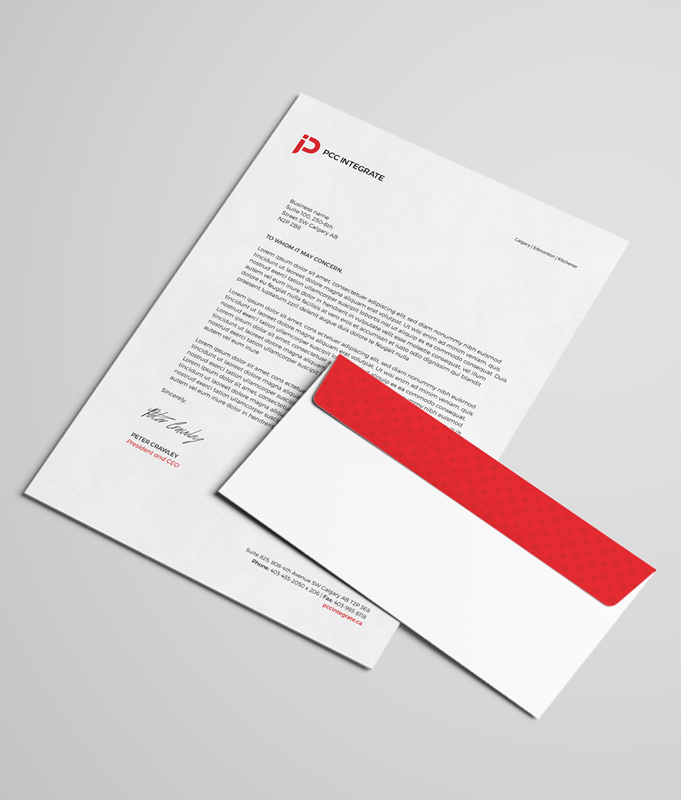 Based on our discovery, we confirmed PCC needed to be presented with a clean and modern aesthetic that also communicated their modular and flexible technology solutions. We presented the team with multiple concepts and applied the designs to multiple touchpoints to show how they would translate to different mediums. 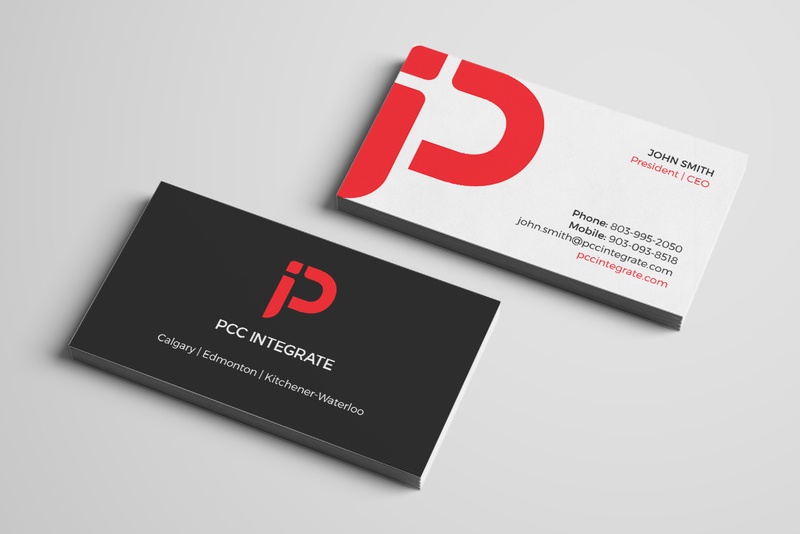 PCC Integrate’s new logo is bold, sharp, and clean. The subtle use of negative space combined with hard and soft corners created a logo that is fluid and flexible while remaining bold and precise. 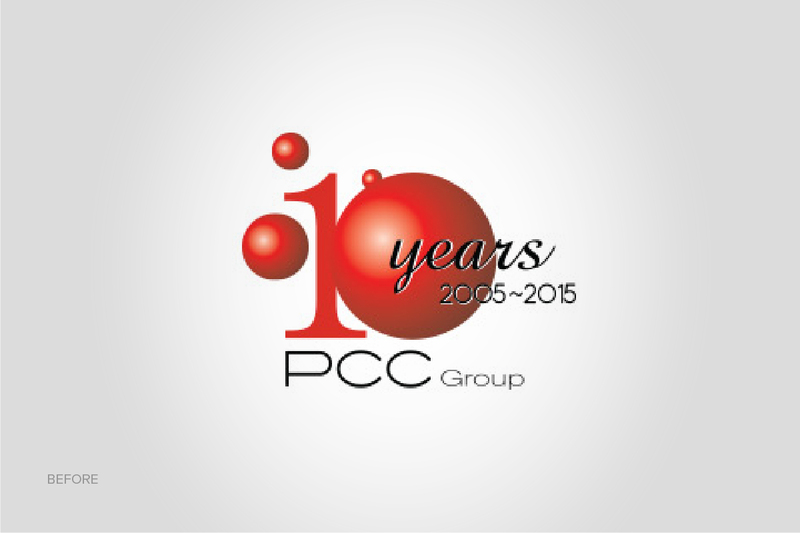 The logo also plays on the “IP” that PCC Integrate is synonymous with. 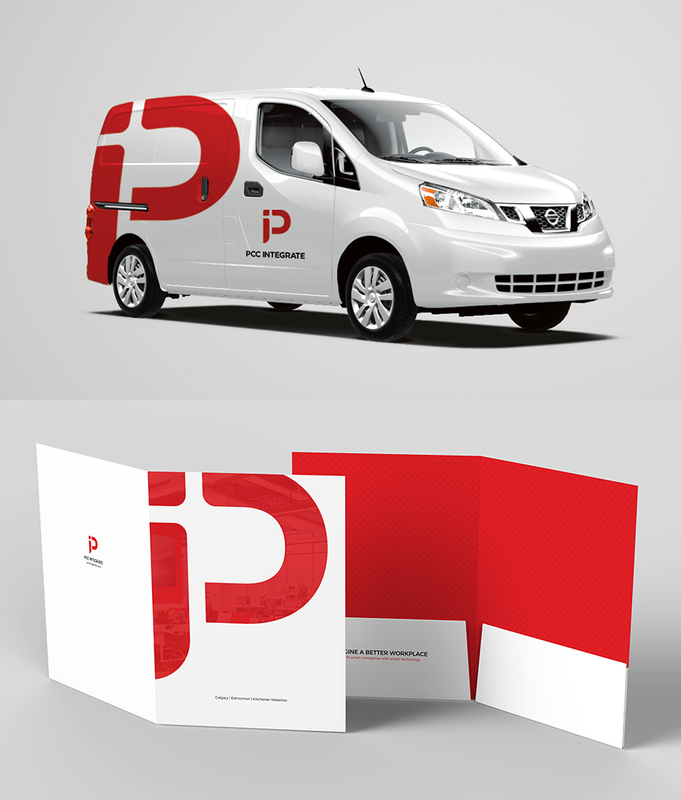 Since launch, the logo has been carried through all of PCC’s marketing collateral and brand touchpoints, including vehicles, letterhead, business cards, and website.